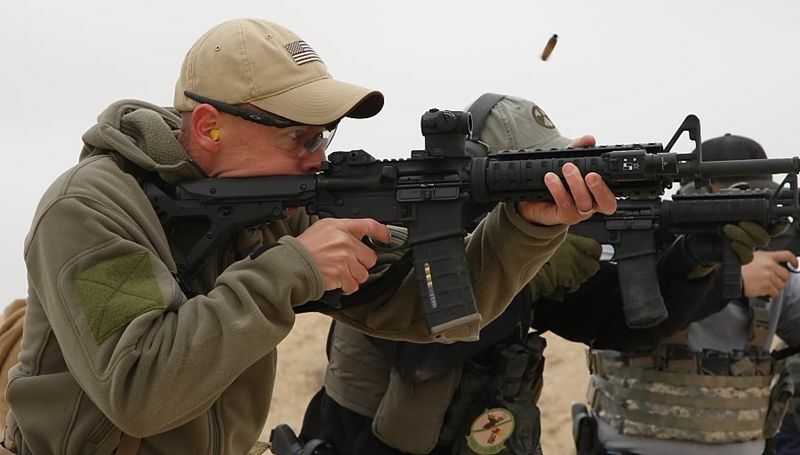 Some overlooked advantages of the Mid-Lenght gas system carbine over the carbine-length gas system AR15 for Law Enforcement Officers. 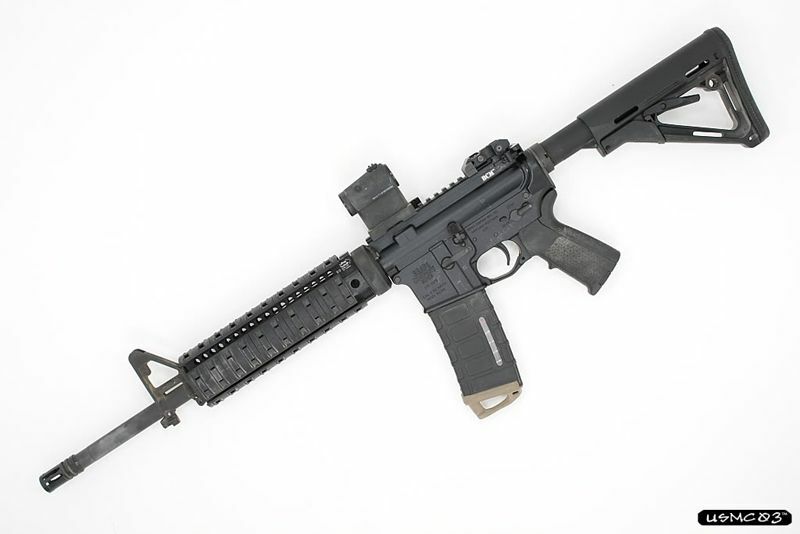 -Mid-Length has a longer iron sight radius, which aids in accuracy. 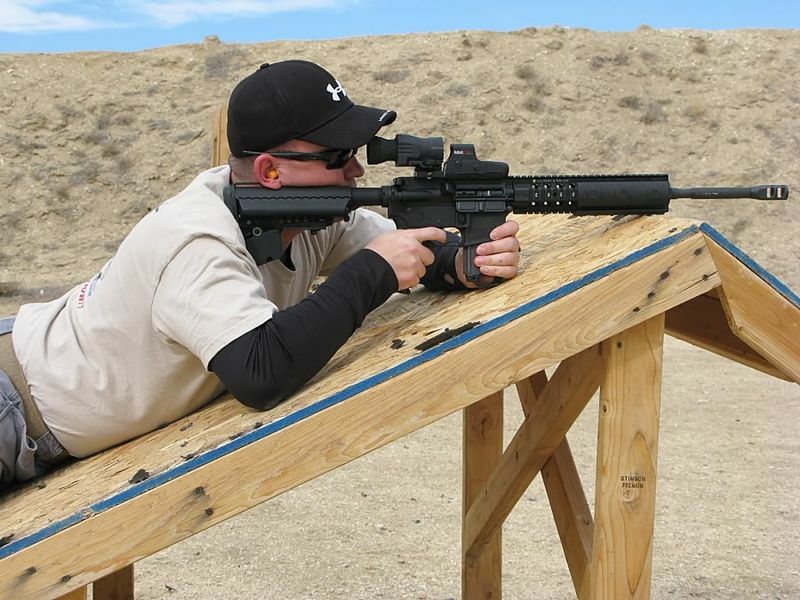 If you have ever shot a 20" AR15 rifle with iron sights and a 16" carbine with iron sights side by side at distance you will notice that it's easier to get more accurate hits with the 20" rifle. This may not and advantage for all LEO's, but there are still many departments out there that don"t allow optics for their patrol rifles. 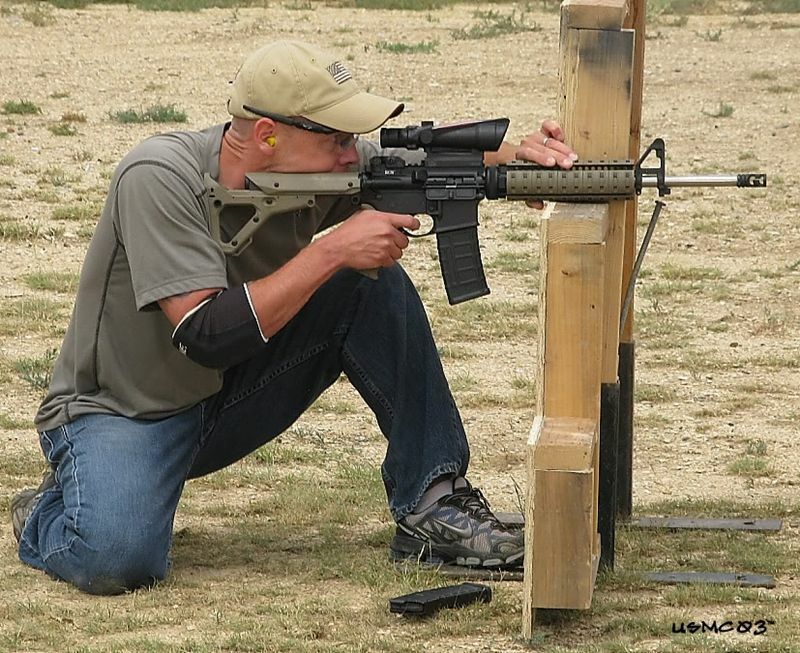 Many guys are starting to figure out what 3 gunners and competition shooters have known for a long time. 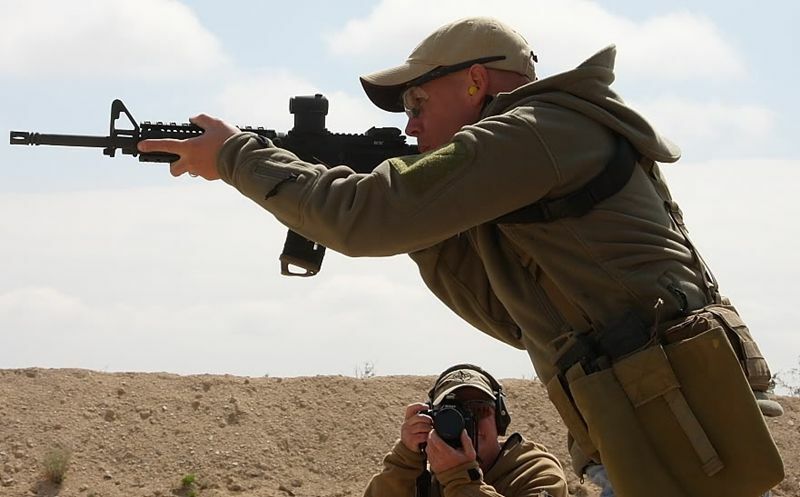 The further you can get your hand out on the fore end the easier it is to "drive" the gun. The mid-length helps you get your hand further out on the fore end. 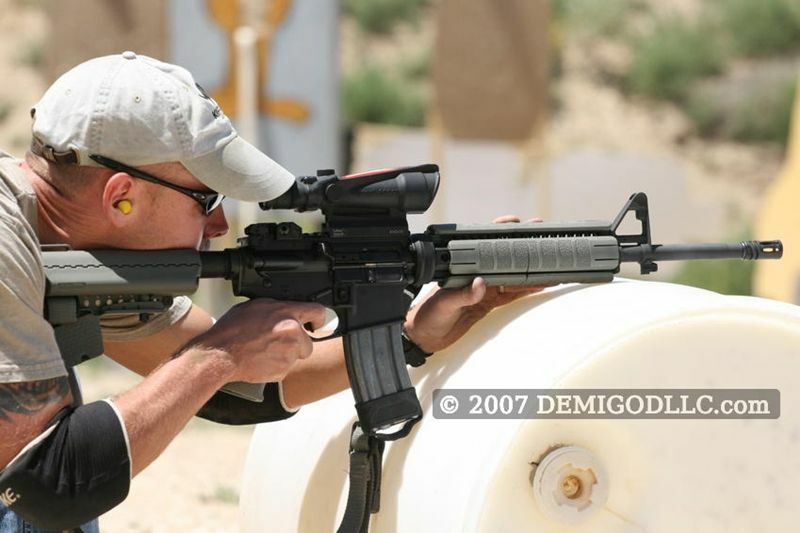 -The longer handguard on the Mid-Length aids in resting the barricade on a piece of cover. This is often overlooked by many LEO's. While taking up a position of cover we often rest our carbine on a piece of cover (vehicle, fence, concrete wall, tree, post, etc.). The piece of cover often times can serve a dual purpose and can be used as a stable shooting platform. Think about the shapes of vehicles and other objects you might use as cover as you look at the pic below. 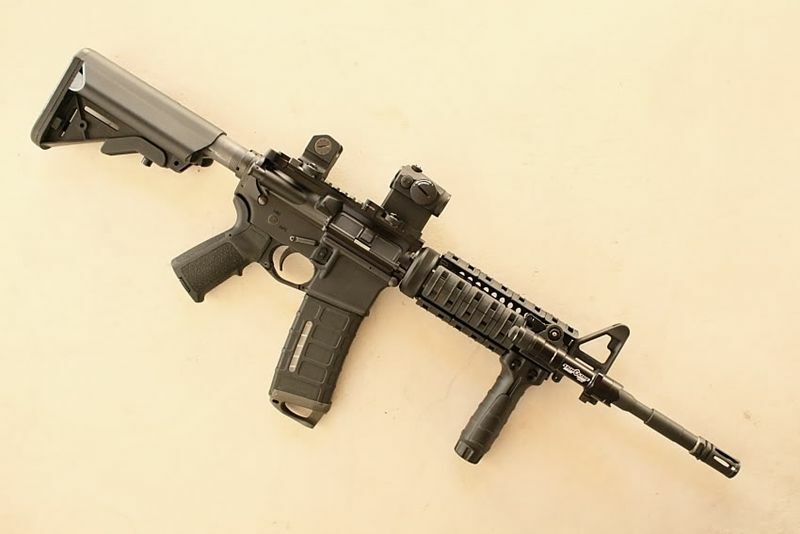 If you had a Carbine-Length handguard, would you be able to get your barrel on the piece of cover?